I am obliged for your sakes to give you my opinion touching the disrespectful behavior that has of late been shown to the Lords Proprietors … very unjustifiable and impolitic. If it be supposed their character is a bar to your relief, it is a mistake. His Majesty and his Parliament are too just to divest their Lordships of their properties without a valuable consideration. 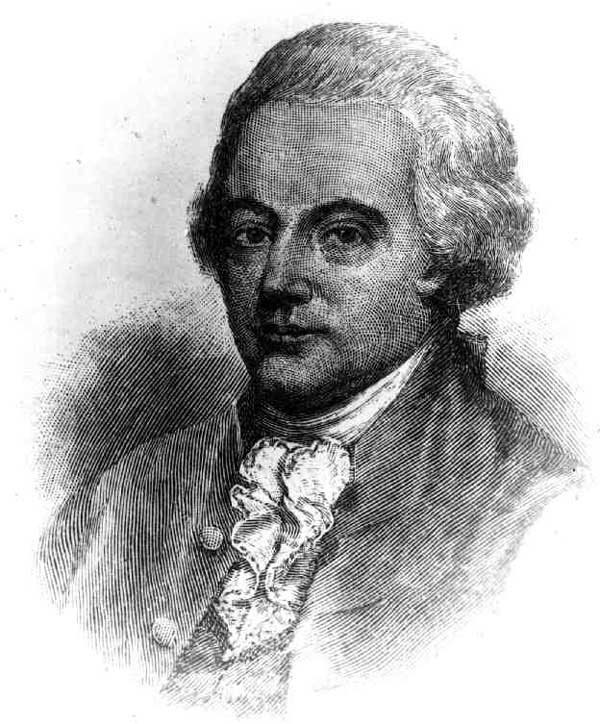 Charles Pinckney died. In his will, Pinckney stated that his body be laid out until decomposition began – a common practice to avoid the possibility of being buried alive. However, against his wishes, the funeral was held the next day and he was buried at St. Philip’s graveyard. His will also freed eight slaves, Primus, Cate, Betty, and Dinah, as well as Dinah’s children –Anthony, John, Peneta and Carlos. He directed that the four children be “suitably maintained and bound out for trades.” Dinah was a “washerwoman” who seemed special to Pinckney. It was openly speculated that the freed children were Pinckney’s own with Dinah. Particularly in the light of Pinckney’s service in Spain and two of the children having Spanish names, including one named Carlos, the Spanish version of Charles, that speculation seems likely. They did not wholly depend upon the orchestra – an extraordinary jazz band – but had the major part of the chorus supplement it with hand and foot patting. The effect was electrical and contagious. It was the best demonstrating of beating out complex rhythms I have ever witnessed; and, I do not believe New York ever before witnessed anything of just its sort. The famous single-step, the Charleston, suggests the rhythm 4/4 but does not explicitly state it. 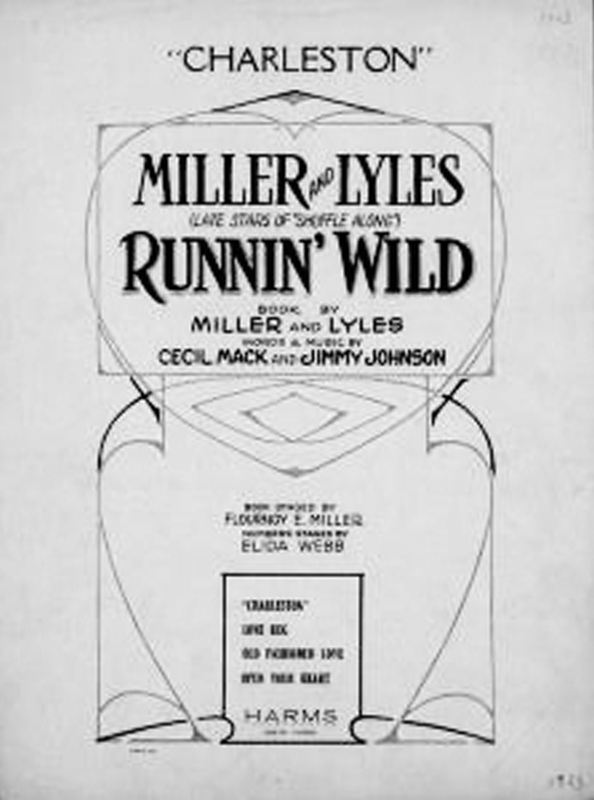 The Charleston rhythm … pervades all music, and for our purposes is predominant in ragtime. Nevertheless the Charleston rhythm had not, up to the time of James P. Johnson’s composition “Charleston” become unmistakably identified. While ragtime sheet music and piano rolls are records of the past, the elusive elements of the dance are lost. Whether the dancers actually used a Charleston rhythm before James P.’s piece I do not know. Since that time and with the help of a music strongly accenting this rhythm, the dancers still do not actually follow it, but give the impression that they do only because we associate the step with a music having this rhythm. Maybe James P. made point of constantly holding to this rhythm because of the impression he got from the dancers, or very likely with the music in a slower tempo some dancers did more than just give an impression of the rhythm and did accent it. Certainly the dance was not evolved to fit James P.’s composition; rather, James P. derived his music from his impression of the dancers, with the possibility that some of them actually may have followed the musical rhythm. Thus our visual impression of the step is influenced by the Charleston rhythm in the music so that whatever the dancer is doing we assume he is still following the musical rhythm. The Charleston dance step may have a longer history than most think. The Branle of 1520 is presumed by most dance scholars to be similar to the Charleston. Dance historians speculate the Ashanti People of Africa were the originators since some of their tribal dances incorporated what could be viewed as Charleston-style steps and movements. His dance was a Geechie step like those I had seen in “The Jungles” [a name often used in the 1910s for the San Juan Hill District of New York]. He was given a nickname by the people of Harlem . . . they would holler at him, “Hey Charleston, do your Geechie dance!” Some folks say that is how the dance known as the Charleston got its name. I’m a tough man for facts, and I say the Geechie dance had been around New York for many years before Brown showed up. The kids from the Jenkins Orphanage Band of Charleston used to do Geechie steps when they were in New York on their yearly tour. It can safely be accepted that the origins of “the Charleston” are most likely a combination of all of the above, particularly the line that runs from the Ashanti African tribal dances directly to the southern plantations of the 18th and 19th centuries. What cannot be denied is that by the end of 1923, everybody in the country was doin’ the Charleston. Nothing else epitomizes the spirit and joyous exuberance of one the most tumultuous decades in American history as the Charleston dance. Other dance crazes have had their fifteen minutes of fame: the Waltz, Tango, Hokey-pokey, Twist, Hustle, Macarena, and Breakdancing. None of them, however, managed to influence and infect an entire generation so thoroughly the way the Charleston did. 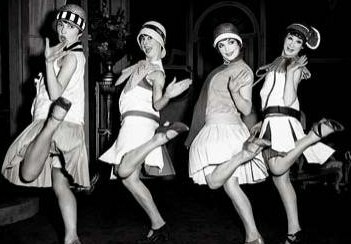 Almost 100 years later, the image of the Jazz Age is always a Flapper doing the Charleston. No other American decade can be so neatly summed up in one simple image. This entry was posted in Black History, History - American, History - Charleston, History - South Carolina, Music - Jazz, Today In History. Bookmark the permalink.